For years webmasters have reeled at the sight of Google’s infamous “notice of detected unnatural links” message. For many it has spelled disaster. It is notoriously difficult to engineer a successful reconsideration request — typically because it is extremely difficult to clean up your backlink profile and get rid of links that Google deem spammy. But now, Google has extended what many will consider an olive branch to SEOs in the form of their new Disavow Links tool. There is little doubt in my mind that it will have a huge impact on the SEO world. Let’s take a closer look! People have been building links for a very long time. Paid links, blog spam, comment spam, forum spam, syndicated low quality articles, blog networks, low-quality directories…the list goes on. Upon receiving such a message, webmasters have to carry out the arduous task of removing all of the low-quality links that have been built to their site. Doing so is difficult at best, and often impossible. If they couldn’t remove such links to Google’s satisfaction, they were stuck. 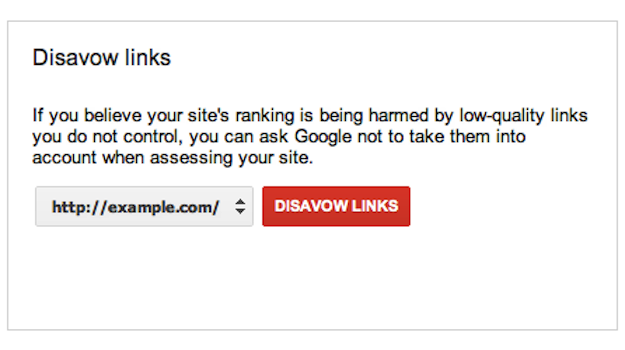 But that no longer has to be the case with the introduction of Google’s Disavow Links tool. What is the Disavow Links Tool? 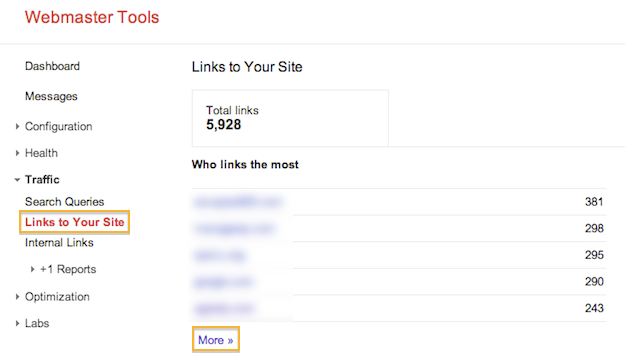 In a nutshell, the new tool enables you to tell Google which links pointing to your site that you’d like it to ignore. So in principle, you can ‘flag’ every low-quality link pointing to your site, and in time, they will be completely disregarded — as if they weren’t pointing to your site at all. Although Google takes the reported links as a “strong suggestion” to disavow (just like rel=”canonical”) as opposed to a direct instruction, you can typically rely on Google following your instructions to the letter. In theory, you can create a 100% ‘clean’ backlink portfolio by using the Disavow Links tool. And although Google goes to great lengths to say that the vast majority of webmasters will not need to use this tool, in reality, almost any SEO will find it of use. And anyone who has ever built links in any capacity certainly will. The first argument is weak, but the second carries some weight. My personal recommendation would be to make an effort to remove any link, but not put a huge amount of effort into it. Google is never going to outwardly recommend that you use this tool with wild abandon, but in reality, it is an extremely powerful addition to your SEO arsenal. This will reveal a list of all links revealed by Google. Please note that this does not represent all links that point to your site — Google only reveals a proportion — but it is a good starting point. I recommend that you take some time to build up a considered and selective list of links that you wish to disavow. Reversing disavows is not impossible, but is not prioritized by Google and could take a prolonged period of time. Once you have the list you just need to upload it via the Disavow Links page. The format of the list is very simple — it must be a text file, and each domain or page must be separated by a line break. Comments must be preceded by the hash tag (#). As you can see, it is possible to remove specific pages and entire domains. If you include a subdomain (such as “website.wordpress.com”), only the subdomain is likely to be disavowed (as opposed to the entire parent domain). Once you have submitted the file, you can expect the changes to take a effect within a few weeks. It’s okay for you to try spammy link building — if it doesn’t work, we’ll give you a way back in. I think this is a good move by Google. It will be interesting to see how effective the tool can be in producing successful reconsideration requests, and what kind of long term effect it has on the world of SEO. You would be surprised just how easy it is to damage someones link profile. With just one tool (commercially available on the web), I could ignore how it’s meant to be used, and build 5,000 very, very poor links to a site in just one month. it is supposed to be used as part of a tiered process, but I have tested this on a domain of my own and completely killed it. Luckily, I don’t work in any of the more ‘unethical’ industries, so don’t have to really worry about this kind of thing, although I do always clean my client’s link profiles as a matter of course. While I think you have a point, I also think that well-established domains will be far less affected by such tactics. Otherwise everyone would be torpedoing each other. Well I just got a manual action and it was an ex-employee so it does happen. They can go to Ebay and order 15,000 links and get your banned easy as that…. To be honest Nina I wouldn’t worry too much about it. Those kinds of arguments have been going around the web for many years, and my belief is that it is not easy for a competing site to damage your standing with Google in such a way.What was niggling at the back of my mind was the ability for OTHER people to do harm to your website rankings. Interesting post. I didn’t realise that this existed. What was niggling at the back of my mind was the ability for OTHER people to do harm to your website rankings. Let’s say you have competitors who want to damage your rankings, in theory they’d be able to simply employ someone to do spammy back linking to your website. In that case it would be useful to have a get-out option like this, but still it would adversely affect your site for a few weeks (and that’s after the time it takes for you realise what’s happened). To be honest Nina I wouldn’t worry too much about it. Those kinds of arguments have been going around the web for many years, and my belief is that it is not easy for a competing site to damage your standing with Google in such a way. Beyond that, you may want to consider if you have any competitors who really have the determination (and lack of morals) to do such a thing.